Aqua Strong 5.1 is Intex’s budget android mobile device in Aqua series, specially designed to target the low-end audience. It is a 4G LTE smartphone comes with many interesting features like – Corning Gorilla Glass 2 protection and flash on the front side. Stunning TN Display with PPI ~196. Dual SIM + 4G LTE support. Emergency Rescue and Turbo Download. DISPLAY AND PROCESSOR: Aqua Strong 5.1 comes with 5 inches display, supporting 854 x 480 pixels resolution with 2 point multi-touch support and gorilla glass 2 protection. 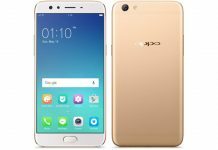 It is powered by 1GHz MediaTek quad-core processor (MT6735) cortex A53 coupled with ARM Mali T720 MP1 GPU. MEMORY: This handset sports DDR3 1GB RAM and 8GB onboard storage (users will get around 4GB free space). Micro SD card of up to 32GB can also be used. OPERATING SYSTEM: Aqua Strong 5.1 mobile runs the latest Android 6.0 Marshmallow combination ensures that you come out as a winner…every time. CAMERA: There is a 5MP fixed focus and 2MP camera on the back and front respectively with the flash. Camera Features: smile detection, face beauty, panorama mode, voice capture. SENSORS: This device comes with only 1 sensor – Accelerometer. 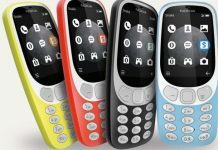 BATTERY: It sports a 2800 mAh Li-ion removable battery, gives up to 22 hours of talk time and up to 466 hours of standby time on a full charge. WEIGHT AND THICKNESS: The Handset weight is 150 grams with battery and thickness is 9.47mm. CONNECTIVITY FEATURES: Additional features supported by Intex Aqua Strong 5.1 smartphone are 4G LTE, 2G, 3G, GPS, Wi-Fi, 3.5 mm Jack, USB, FM radio and Bluetooth v4.0 LE. 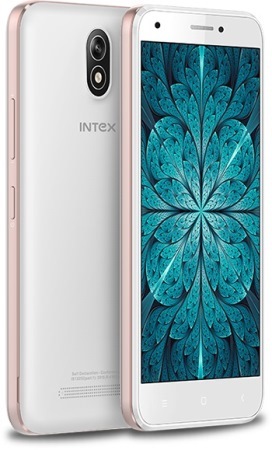 Intex Aqua Strong 5.1 is available in 3 color options – White, Blue, and Champagne. Its price in India is INR 5,599 only. You can exclusively buy it online or via the local stores.